It’s that time of the year once again; it’s time to play some nerve-tingling horror games. Actually, it’s always a good time to play horror games, but now there’s a valid reason to scream off the top of your lungs, keep all of the lights in the house on, and check under the bed before sleep. To celebrate the upcoming festivities, this Halloween list compiles 10 horror games from multiple generations and gaming platforms. Enjoy! Let’s begin with the most well-known horror game within the Xbox ecosystem. Alan is a writer who’s experiencing a writer’s block and, along with his wife, travels to the seemingly peaceful town of Bright Falls to unwind. Before long, Alan’s wife disappears and he is unwillingly thrown into a set of nightmarish events depicted in a manuscript, supposedly written by himself. Armed with a flashlight to dispel the surrounding darkness, as well as a variety of devastating firearms, Alan will battle relentless hordes of shadows to once again reunite with his loving wife. 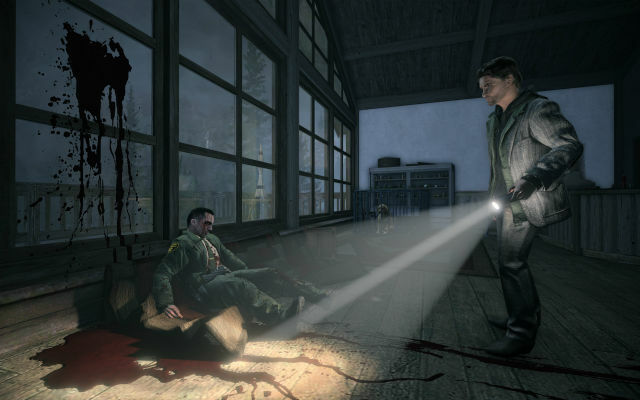 Alan Wake isn’t exactly a frightening game, but it has a unique atmosphere, similar in tone to that of the early 90’s TV show, Twin Peaks. This title is available on the Xbox 360 and PC, as well as the Xbox One via Backwards Compatibility. Amnesia: The Dark Descent and its sequel Amnesia: A Machine for Pigs are available as a bundle on the Xbox One. Both titles are also obtainable on PC, and PlayStation 4. The crew of USG Kellion crash lands onto the interplanetary space vessel USG Ishimura, after responding to its distress transmission. Isaac Clarke, a mere engineer, must traverse the malfunctioning halls of the ship while fending off monstrosities of unknown origin and looking for his missing girlfriend, Nicole. 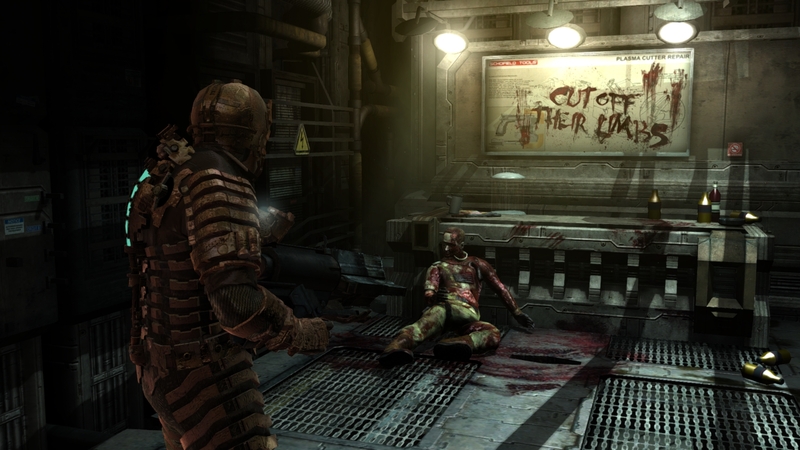 There is almost no music in Dead Space – apart from a creepy rendition of “Twinkle Twinkle Little Star” – and its thrilling atmosphere is achieved mostly through exceptional sound design. One of the superior horror experiences in recent years, Dead Space is available on PC, PlayStation 3, and Xbox 360, as well as Xbox One via Backwards Compatibility. Alexandra arrives at her grandfather’s estate to investigate his sudden demise. While exploring the mansion, she uncovers a strange book bound with human flesh containing information on people from various epochs, including an ancestor of her own family. 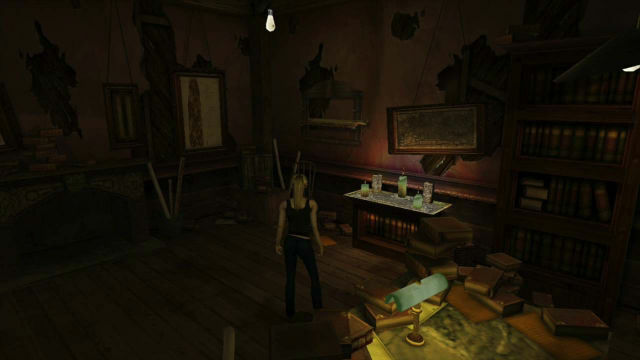 Eternal Darkness features numerous playable characters across different timelines, puzzle solving, as well as a unique sanity meter which affects the character’s mind, and interacts with the player’s hardware in an unusual way. Sadly, should you wish to play this extraordinary horror title, you will need a GameCube, as it hasn’t been ported to any other platform since the original release. In the best traditions of Japanese horror, Fatal Frame II recounts the dire tale of two sisters, Mio and Mayu, who wander into the secluded village of Minakami while exploring the surrounding forest. As they soon come to discover, whoever enters the village is supposedly trapped there forever. Moreover, its seemingly long-gone inhabitants used to perform a sacrificial ritual involving a pair of female twins. After obtaining a mysterious camera Obscura which can detect spirits, both girls will attempt to escape the village against the unfavorable odds. Fatal Frame II is terrifying simply because any adversaries can only be seen through the lens of the camera, and the ancient, crumbling environments serve as a contributing factor for the game’s atmosphere. This must-play horror title is available on PlayStation 2 and the original Xbox. A remake of the game, titled Project Zero 2: Wii Edition, was released for the Nintendo Wii in 2012. Haunting Ground is a spiritual successor to the once-acclaimed Clock Tower series. 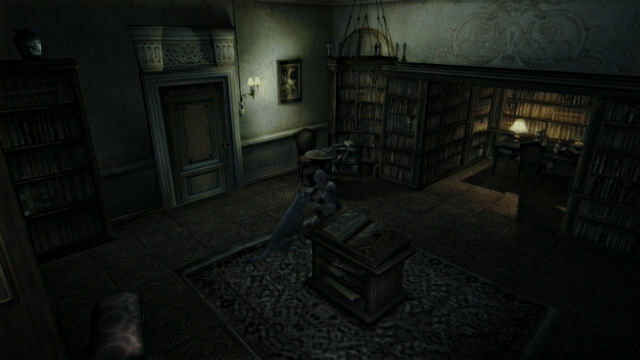 The game’s heroine, Fiona, comes to her senses while being caged in a foreign castle. While searching for a way out, she will be pursued by the few of the castle’s bizarre inhabitants. After befriending a white canine she consequently names Hewie, Fiona will soon discover the horrifying reason for her unfortunate entrapment. Fiona is completely defenseless and her only options to avoid the assailants, including a creepy glass-shard carrying maid, are constant hiding within the gloomy environments and reliance on Hewie’s assistance. As of yet, the game has only ever been released on the PlayStation 2, but if you have access to the hardware – and an eye for some appealing digital curvature – then it’s very much worth your time. 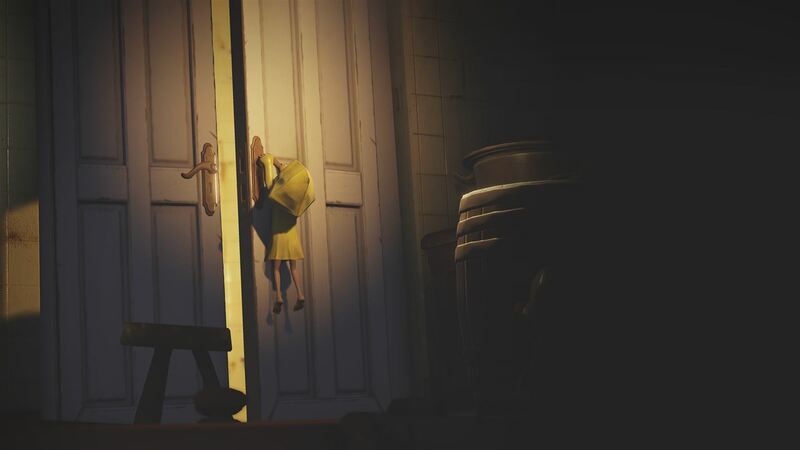 Little Nightmares is a memorable, though somewhat short experience involving a yellow raincoat-wearing girl named Six. She wakes up in an unknown location with nothing but a lighter at her disposal. 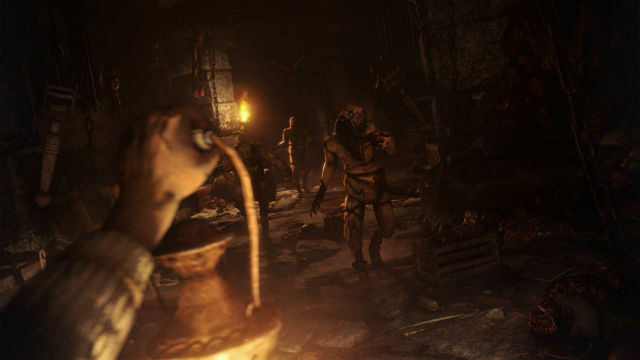 While trying to figure out her whereabouts and how to get out, she is chased by several disfigured assailants across the game’s five chapters. Little Nightmares might not be the scariest game on this list, but it’s very atmospheric, has a pleasant visual style, and features a few truly grotesque scenes. The game is available on the Xbox One, PC, PlayStation 4 and Nintendo Switch. 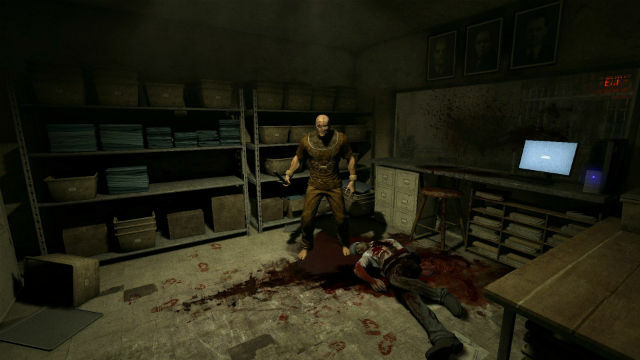 Journalist Miles Upshur heads to Mount Massive Asylum after receiving a scoop, to investigate horrendous experiments allegedly being performed within the institution. Upon arrival, Miles discovers that most of the staff, as well as numerous members of a SWAT unit, are dead. His only exit has been blocked and Miles is now being chased by several of the surviving patients, while he persistently attempts to gather information on the pivotal experiment: the Walrider. Outlast, as well as its equally worthwhile sequel, Outlast 2, is available on Xbox One, PC, PlayStation 4, and Nintendo Switch. 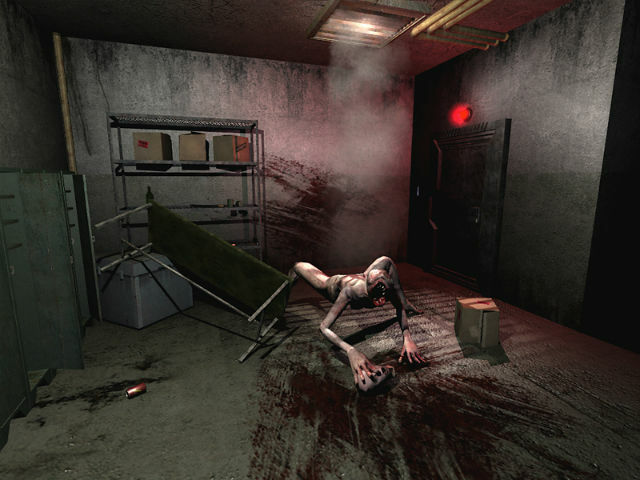 Before garnering widespread critical appeal with Amnesia: The Dark Descent, developer Frictional Games was known for another exceptional horror title. Being the first part of a trilogy, Penumbra: Overture follows the story of Philip, who embarks on a journey to a remote location in Greenland, to look for his father. After being trapped in mines, Philip is left with no choice but to venture further into the dark and claustrophobic tunnels. Before long, Philip will come to discover that the mines are not as desolate as they seem and that its environments were home to some terrible experiments. Penumbra: Overture, as well as its sequels, are currently available only on PC. 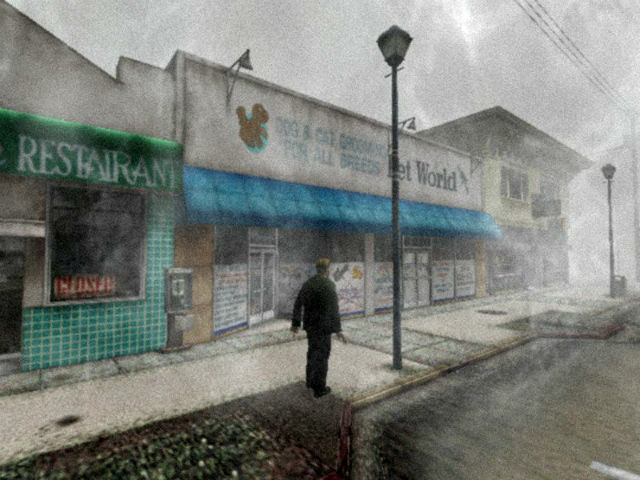 After receiving a letter from his supposedly dead wife, James Sunderland arrives at the mysterious town of Silent Hill, which they once visited together. In the letter, his wife, Mary, claims to be waiting for him in their “special place”. Silent Hill is no longer as James remembers it; the town is deserted and covered by a thick layer of fog. People are nowhere to be found and abandoned cars line the sides of the streets. Against any common rationale, James will voyage deeper into the desolate town while unbeknownst to himself, exploring the deepest recesses of his own mental domain. Renowned for its incredible atmosphere and in-depth narrative, Silent Hill 2 has taken its rightful place at the pinnacle of the horror genre. By far the best way to experience this title is on the PlayStation 2, the original Xbox, and PC. I would strongly advise against playing the PlayStation 3 and Xbox 360 version, as it was developed based on an unfinished code and doesn’t do the game justice. Have you already played any of the games listed? Is there a spooky game missing from the list that you would like to share? Do so in the comments below.